When Egyptian President Abdel Fattahal-Sisi attends the G20 Summit in Hangzhou, Zhejiang Province, in September, it will be his third visit to China since assuming office in 2014. 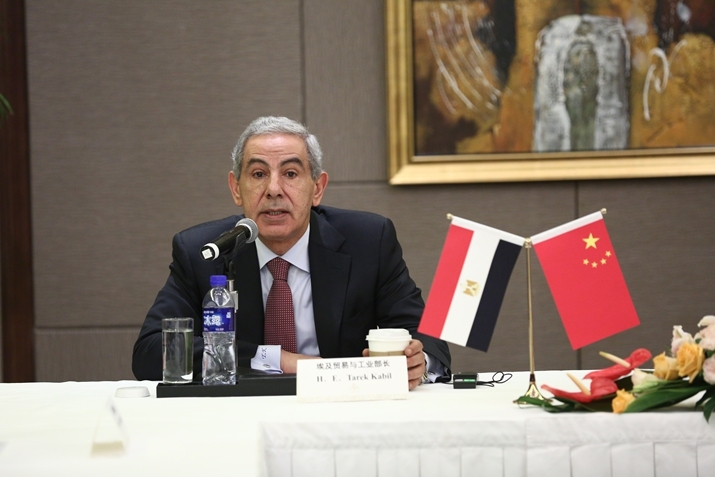 This will indicate, according to Tarek Kabil, Egypt's Minister of Trade and Industry, the depth of China-Egypt relations. "In two years we have had three meetings between the two presidents [of Egypt and China]," Kabil told ChinAfrica, a monthly magazine published by Beijing Review, during his trip to China in July to attend the G20 Trade Ministers Meeting. "It shows how important the relationship is because Egypt is, among the very few countries that China has invited. It also gives a message to the whole world about Egypt's stability and readiness for economic growth." Though Egypt has faced turbulence and has seen three governments in the last five years, Kabil says that after President Sisi came to power, he implemented a three-pronged political roadmap: holding presidential elections, passing a new constitution and calling parliamentary elections in 2015. "Today we are on our economic roadmap to revitalize the country in all aspects, [such as] infrastructure, legislation, [and] systems," Kabil said. "Despite all that happened in the past, our economy is growing at 4.2 percent. Our target next year is 5 percent GDP growth." China, for its trade, investments and tourists, is a major focus of that roadmap. 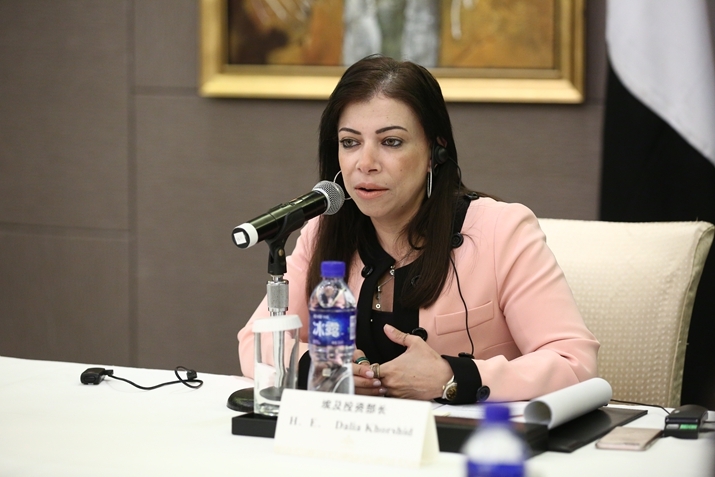 Though China currently is the 23rd largest investor in Egypt, with a low level of investment of about $500 million, according to Dalia Khorshid, Egypt's Minister of Investment, who was part of the visiting delegation, the goal is to increase the amount 10-fold. "We are working with our Chinese counterparts to ensure additional investment in logistics, ports and industrial and infrastructure development to ensure we have the climate to attract more investments," Khorshid said. "We have a target: to ensure that Chinese investment ranks among the top five to 10 investors in Egypt." Of the 18 projects discussed between Egypt and China, power projects—together worth $10 billion—are progressing fastest, according to Egyptian officials. Post-tumult years saw little investment in the sector. However, realizing the importance of a strong power industry to boost trade and investment, Egypt has now made discussing power projects with China a priority. The Export-Import Bank of China and the private sector are also to be involved in the projects. 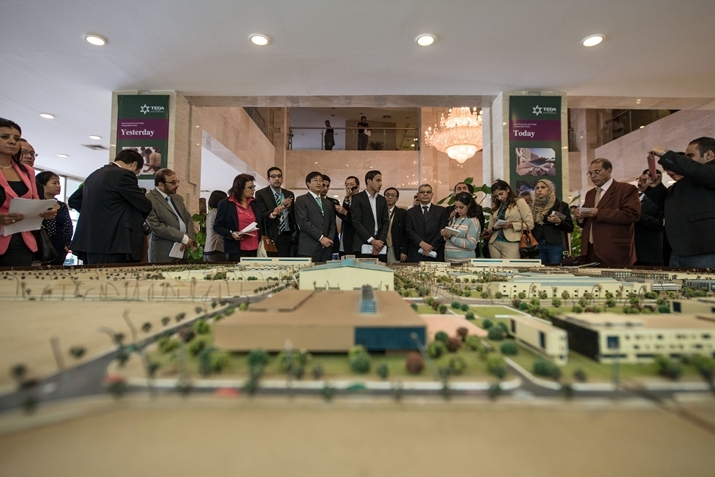 One new major development is the planned construction of a textiles city in Egypt, wooing Chinese companies as they seek to relocate in other developing economies to meet the challenges of rising land, power and labor costs in China. After Viet Nam, Bangladesh and Ethiopia, it is Egypt's turn to play host to a new textiles city. A memorandum of understanding (MoU) has been signed between the Egyptian authorities and a private company in China, which has inspected and approved the site in Minya City in Upper Egypt. The project will see Chinese investment and technological expertise combine with Egyptian raw materials and skilled local labor. "We have missing gaps in textile technology," Kabil said. "For example, we don't have the dyeing technology. So we make the fabric and send it to be dyed. This is a missing part in the industrial value chain. So we want that technology in order to ensure we have a complete value chain." It makes sense to relocate textiles industries to Egypt, or, for that matter, other industries, because doing so provides not just access to the domestic market, but also, more importantly, a gateway to the EU and Africa's combined population of 1.6 billion, as Egypt has multiple trade agreements with a number of countries in these regions. Kabil said Egypt enjoys several free trade agreements. "Business happening on Egyptian soil will enjoy tariff-free access to the [19-member] Common Market for Eastern and Southern Africa, the European Union and all Arab countries," Kabil said. "We are also having discussions with Russia on the Eurasian market." The textiles city, for example, he said, could be used to export to all these countries as well as to re-export to China, which would address to some degree the $8-billion trade imbalance between China and Egypt. To develop its industries, Egypt is seeking Chinese cooperation to build up its production capacity. The two sides have discussed this both in Cairo and, last month, in Beijing. The Chinese experience, especially in developing small and medium-sized enterprises, is something the Egyptian authorities want to learn from. Industrial zone development is another area in which Egypt can benefit from China's experience. Chinese companies have already built an industrial park along the Suez corridor in Egypt. An Egyptian delegation visited such a park in China to learn more about how they operate. Also, as part of production capacity building, the Chinese side is assisting in developing the required infrastructure in Egypt such as power, housing and transportation. The Belt and Road Initiative announced by the Chinese Government is going to be an important boost to the Egyptian economy, particularly because it dovetails with the Suez Canal Development Project undertaken by Egypt to build one of the largest logistics hubs in the world. "The Belt and Road [route] is very, very long, [connecting Asia, Europe and Africa]," Kabil said. "During Chinese President Xi Jinping's visit [early this year], we signed an MoU regarding the Belt and Road. Egypt's role is to help and prepare, with the cooperation of the Chinese side, the infrastructure required to continue [the route]. That includes ports, airports and roads." Egyptian authorities are content that the road project is off to a start, with about 5,000 km having already been built. "We have a highway going through Sudan, and it could be going to Ethiopia. The vision is to have it from Alexandria [in Egypt] to Cape Town in South Africa," Kabil said. Egypt is also upgrading three ports around the Suez Canal and building three new ones. It plans to discuss with China "how we can start building economic zones around those roads, because that's the whole idea," Kabil added. "How you can develop this and develop bilateral trade, not only between Egypt and China, but also between the people around the Belt and Road." Asked how Egypt would offer investment protection, especially in view of terrorist attacks, the minister pointed out that they had become global: "I don't think terrorist attacks today are affecting Egypt only, you have seen so many attacks happening in Europe, in the United States and other countries." Though fighting has broken out around Egypt—in Libya, Syria and Yemen—and there is chaos in one part of the country, Kabil claimed the domestic situation was under control. "Politically and security-wise, Egypt is extremely stable," he said. "We continue to attract investment every year, over $6 billion and growing. A lot of countries are already investing in Egypt. The Chinese President [himself] came to Egypt, so what clearer message do we want? If Egypt was unstable or unsafe, he would not have come."